SELF ESTEEM and the Psychology of Winners and Losers. I have been studying “SELF-ESTEEM” for well over 30 years from the works of some of the world’s most famous writers, motivators and psychologists. I have read a lot of books and listened to many motivational speakers. I also have a huge collection of inspirational sayings with which I have regularly adorned my classroom for many years! A Year 13 student gave me calendar containing lots of inspirational quotes and sayings. make every single student feel good about something”. I also made lots of notes on self-esteem for myself and put them into practice in my life and particularly in my teaching. 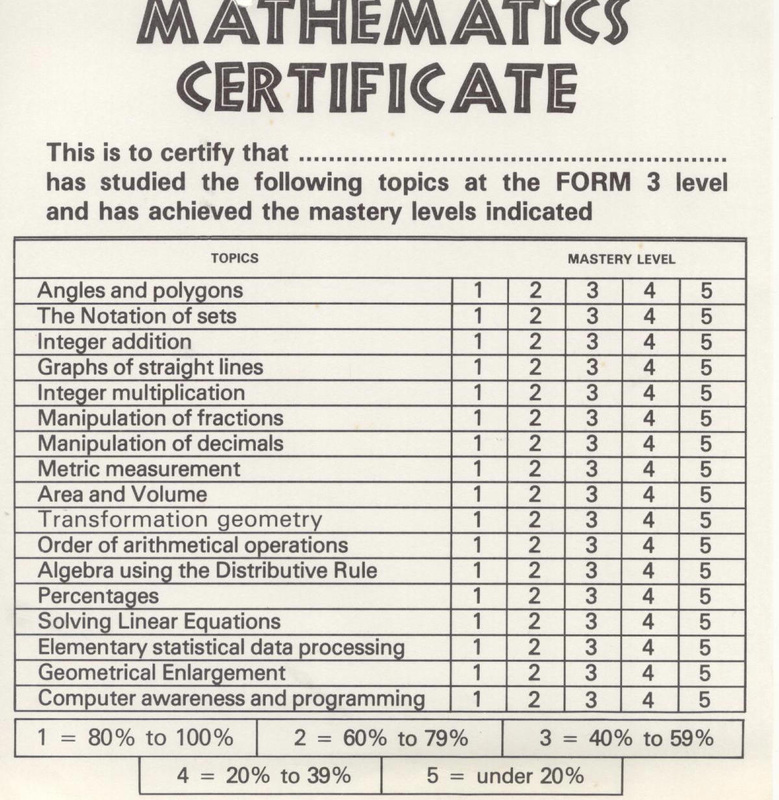 When the “New Curriculum” came out in New Zealand, I realised it was talking about a lot of the things I had already been doing for the past 40 years! SELF-ESTEEM AND ITS PLACE IN ASSESSMENT STYLES. Many Year9 students (who are actually only 12 year-old children!) come to us already with a very low self-image and with negative feelings about themselves (and about maths in particular). They have already gone through perhaps 8 years (or more) of feeling that they are a failure. It astounds me to think that before NCEA, all our exams including School Certificate and Bursary were designed to fail about half of all our students! We know everyone can learn, but obviously at different levels of achievement. So, about 40 years ago, I devised a “MASTERY LEARNING” scheme so that students could achieve at different levels 1 to 5. It turned out to be quite close to the present NCEA system but in my humble opinion, better! “The GREAT CLASSROOM CHALLENGE is for the teacher to provide opportunities for every single student, regardless of ability, to experience some form of success and achievement”. REGULAR ENCOURAGEMENT and FREQUENT FEELINGS OF SUCCESS by presenting them with “SHORT-TERM GOALS”. My idea was that students study a single topic for perhaps only 2 or 3 weeks, learning and practising the skills and concepts required. Then they have a mastery test on it. At the end of the year they are presented with a certificate of their achievement. Notice there is no grade called “NOT ACHIEVED”! Even under 20% is achieving something! The tests were designed so that all students can succeed to some degree. They were not just designed to ASSESS but to ENCOURAGE, to give students CONFIDENCE and let all students EXPERIENCE SOME FEELING OF SUCCESS. Another favourite saying: “SUCCESS is a great MOTIVATOR”. “There is nothing we need so much as nourishment for our self-esteem”. The fact that a person “FEELS VALUED”, is essential for mental health. The terms “WINNERS” and “LOSERS” have special meanings. A “Winner” does NOT mean things like: 1st in race; top of class; best soccer player; tennis champion. Winners are typically very enthusiastic about everything they do. One essential ingredient for high self-esteem is ENTHUSIASM. (This comes from the Greek meaning “Filled with the fire of God”. An enthusiastic person cannot rest until the project is underway. Winners are not necessarily high intelligence people but they are real achievers (who succeed often by providing valuable help and service to others). 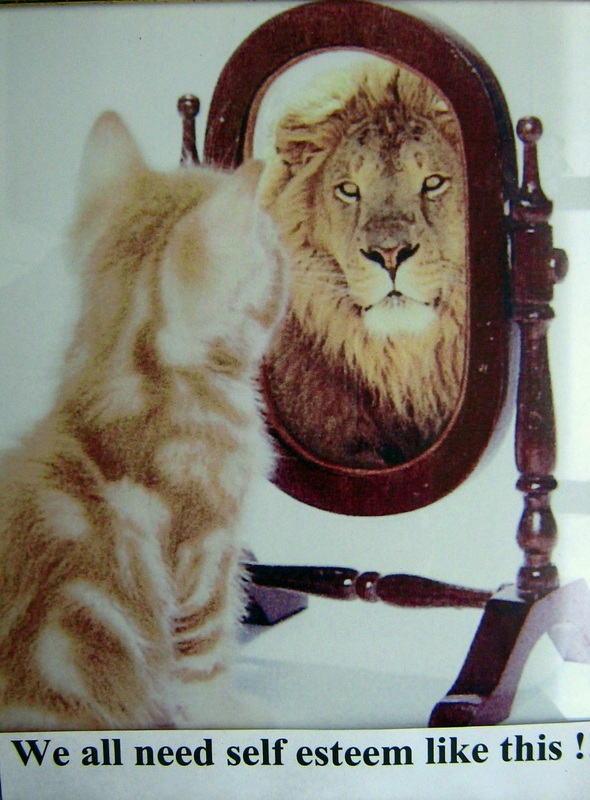 …is a person with a high self-image. …expects things to turn out well. …treats failures as minor set-backs to be overcome next time. …focuses on what they are aiming for. Happiness is not something you drink, sniff, smoke, inject, wear, drive, buy or travel to. "Happiness is the journey not the destination". A “WINNER” DOES NOT CAUSE SOMEONE ELSE TO BECOME A “LOSER”! A “LOSER” is not necessarily a low intelligence person. A loser can be a CLEVER PERSON who just THINKS NEGATIVELY. Even though they may do well in many things they have a negative self-image. You could call it an “inferiority complex”. “Nice dress!” – “Oh no, I’ve had it for years”. “Your hair looks nice!” – “Needs cutting really”. “Neat work!” – “Looks a bit messy to me”. “Lovely meal!” – “Just the usual. Nothing special”. Please don’t go round testing all your friends by giving them compliments to see their reaction!!! 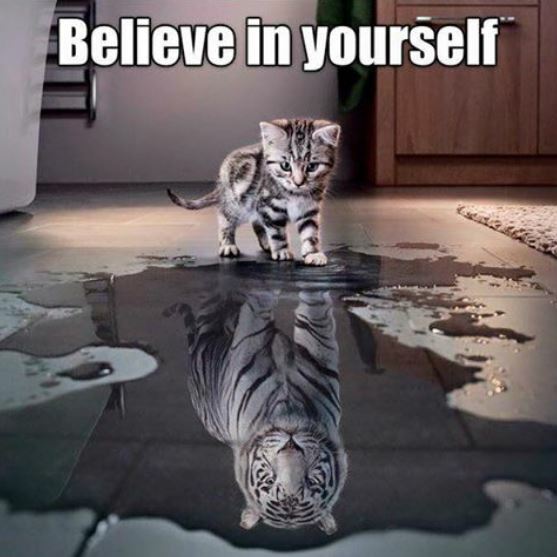 We can see that if a person with a high self-image performs some task well or poorly, their positive self-talk ensures that their high self-image is confirmed. They expect to do well and if they do not do well, they take steps to get the necessary help to succeed next time. We can see that if a person with a low self-image performs some task well or poorly, their negative self-talk ensures that their low self-image is confirmed. NB “Winners” are not just the clever ones! You don’t have to be clever to have high self-esteem. – does what it takes to succeed next time. that the person with high self-esteem does. Incidentally, teachers who are “hard markers” do not encourage these students to “try harder”! “ Winners MAKE it happen. Losers just LET it happen”. There are many people who “think” they have high self-esteem as long as things are going well for them! Their self-image is actually a lot more fragile than they think. Unfortunately, if they perform poorly they can plunge into the depths of despair. Often their self-image comes from how they feel that other people expect them to perform. How can we get from the Low S E cycle to the High S E cycle? Well, there is no way to JUMP but there is a way to CRAWL TOWARDS IT! regular feelings of success using short-term goals. The FREQUENT FEELING OF SUCCESS is a great MOTIVATOR! Psychologist Carol Dweck and her team at Columbia studied the effect of PRAISE on students in New York schools. She did a series of experiments on 400 fifth-graders. She sent four female research assistants into New York fifth-grade classrooms. The researchers would take a single child out of the classroom for a nonverbal IQ test consisting of a series of puzzles-(puzzles easy enough that all the children would do fairly well). Once the child finished the test, the researchers told each student his/her score, then gave him/her a single line of PRAISE. Randomly divided into groups, some were praised for their INTELLIGENCE. They were told, “You must be smart at doing this". Then the students were given a choice of 2 tests for the second round. Test A would be more difficult than the first, but the researchers told the kids that they would learn a lot from attempting the puzzles. Test B was an easy test, just like the first. Of those praised for their effort, most chose the harder set of puzzles. Of those praised for their intelligence, most chose the easy test. And that’s what the fifth-graders had done: They’d chosen to look smart and avoid the risk of being embarrassed. In the next round, none of the fifth-graders had a choice. The test was difficult, designed for kids two years ahead of their grade level. Predictably, everyone failed. But again, the two groups of children responded differently. Those praised for their effort on the first test got very involved, willing to try every solution to the puzzles. Not so for those praised for their intelligence! They assumed their failure was evidence that they weren’t really smart at all. Just watching them, you could see the strain! They were sweating and miserable. Having artificially induced a round of failure, Dweck’s researchers then gave all the fifth-graders a final test that was just as easy as the first round. Those who had been praised for their effort significantly improved on their first score—by about 30 percent . Those who had been praised for their intelligence did worse than they had at the very beginning—by about 20 percent! In follow-up interviews, Dweck discovered that those who think that intelligence is the key to success, begin to ignore the importance of effort. “I don’t need to put in effort”. “Having to use effort just means I am not smart”. Repeating her experiments, Dweck found this effect of praise on performance held true for students of every socioeconomic class. It affected both boys and girls—the very brightest girls especially (after failure they were the most upset). Even pre-schoolers weren’t immune to the inverse power of praise. Conclusion: PRAISE EFFORT NOT INTELLIGENCE! I found an article in an Auckland University newsletter on research done is the USA. TOP ACADEMICS WITH LOW SELF-ESTEEM. “Academic phonies” (or, at least, people who think they are), are reported to have started identifying themselves or “owning up” as a sort of precaution against being exposed as impostors. They simply don’t believe that they really are top academics! The Chronicle of Higher Education reports that a recent workshop at Columbia University in the United States for “Young academics who feel like frauds” was attended by highly successful scholars who live in what was described as a creeping fear of being “found out”. The “impostor syndrome”, first identified in 1978, is apparently a cognitive distortion experienced by many academics preventing them from internalising any sense of accomplishment. It is reported that the idea quickly struck a chord with scholars from the so called “working class” who bristled at the old guard’s sense of entitlement but found themselves crippled by a stubborn inability to feel the same. Meanwhile, scholars who came from academic legacies, (described as children of the “old guard”), had feelings of unearned privilege to contend with. It appears that a person with “impostor syndrome” typically experiences a cycle of distress when faced with a new task. Initial self-doubt is followed by perfectionism, procrastination, overwork and anxiety. Then comes success. But with success comes the discounting of success and the on-set of self-doubt and inferiority. Any successes only serve to reinforce the whole cycle. TRAITS OF “WINNERS”: They SIMULATE succeeding. A musician, when not actually practising his/her instrument, imagines himself/herself, performing the solo by reading through the music and mentally performing it. In rugby, the goal kicker mentally sees the ball going through the posts before he takes the kick. The high jumper mentally imagines herself gliding over the cross-bar putting all steps of her training into practice. The netball shooter mentally sees the ball going through the hoop as in practice. The golfer mentally sees the ball going straight down the fairway. "In a positive mind you never make a mistake". We should give instructions in a POSITIVE way. Say what TO do and AVOID saying what NOT to do. It all depends on the dominant thought left in your mind. Playing golf: there is a lake on the right - if you say to yourself “DON’T GO IN THE LAKE” – it probably will. The dominant thought is “GO IN THE LAKE”. What you should say is “THIS SHOT IS GOING STRAIGHT DOWN THE FAIRWAY”. A goal kicker must also simulate, he must visualise the ball going straight through the posts. If he says “DON’T CURL THIS ONE TO THE LEFT” – it probably will. The dominant thought is “CURL TO THE LEFT”. He should say, “THIS IS GOING STRAIGHT THROUGH THE POSTS. A musician has a difficult passage to play. If she says “THIS IS THE PART WHERE I ALWAYS GO WRONG” then she probably will! The dominant thought is “GO WRONG”. NOTE: If a winner still goes wrong after saying something like “This one is going to go well” then their positive self esteem cycle takes over and he just goes on to the next try, again expecting success. Parents/teachers can help children to have better self-esteem by always being positive and motivating them the right way. Say what TO DO and AVOID telling them what NOT TO DO. Again, it is all about the dominant thought left in your mind. The “Dominant Thought” technique is invaluable in the classroom. It is important to always focus on the “DESIRED RESULT” and not on “NOT GOING WRONG”. Every STUDENT has the right to be able to LEARN unobstructed. Every TEACHER has the right to be able to TEACH unobstructed. 2. Apologise, with a reason, if you are late. 3. Get your book and equipment ready straight away. 4. Listen when the teacher calls for attention. 5. Always make good, clear notes of the lesson. 6. Always speak respectfully to the teacher and to other students. 8. Always ask if you need to leave the classroom. 9. Use your cell-phone only outside of lesson times. 10. Eat only at the proper times. 11. Keep the classroom neat and tidy. 12. Always say things in a positive way. It is a sad comment that many TV shows focus on deviant behaviour or dysfunctional family life. This provides a “model for losers to copy” and subliminally implies this behaviour is somehow “normal”. If commercials (which many people can repeat word for word) can get us to buy certain products then so called “comedies” about bizarre, whacky family life can also brainwash us into a “loser lifestyle” as though that were the "normal" way that people should live. Many of us spend our time pursuing diversions instead of pursuing direction, under the pretence of wanting to “find ourselves”. Sure enough, in 20 years time, we will find ourselves – We will just find ourselves 20 years older! Our thoughts can change our body temperature, dilate arteries and even change our pulse rates – so we need to control our self-talk. Winners don’t put themselves down in actions or words. Losers constantly re-affirm their low self-image. Winners focus on future successes. They remember past successes and dismiss past failures. Winners always simulate succeeding before the performance. “The Road Less Travelled” by psychologist M. Scott Peck. This has sold millions of copies worldwide and was on the top ten best sellers list in the USA for 10 years. Not long ago a young financial analyst was complaining to me over a period of several months about her tendency to procrastinate in her job. We had worked through her feelings about “authority” in general and specifically to her employers and parents. We had examined her attitudes towards work and success and how these related to her partner, her sexual identity, her desire to compete with her partner and her fears. Yet, despite the psychoanalytic work, she continued to procrastinate as much as ever! “Oh the icing, of course!” she responded enthusiastically! From her cake eating habits we went on to examine her work habits. As expected, she devoted the first part of the day to doing the more gratifying, pleasant parts of her job and the rest of the time getting around the more objectionable remainder. Doing the “fun” activities and leaving the necessary others. I suggested that if she were to force herself to accomplish the unpleasant parts of her work first, she would then be free to really enjoy the rest of her day better. It seemed to me that a short time of “relative pain” followed by “hours of pleasure” would make a huge difference in all aspects of her life! She agreed, and, being a person of strong will, she now no longer procrastinates. This idea of “DELAYING GRATIFICATION” is the process of doing the more unpleasant things first, and getting them over with, so that you can enjoy the more pleasurable things much better. This is the only decent way to live your life. This idea can be learned by some people at a very young age. Some people never learn it! For instance, a six year old who “eats the cake first and the icing last”, has already found this wonderful secret! An adult who watches TV and leaves the washing up until bedtime, still has not learnt it! Some twelve year olds are ready to sit down without any parental prompting and do homework or practise a musical instrument before they start to watch television. It is clear to educators that many students at higher secondary school and university fall far short of this valuable trait! The ability to delay gratification could even be called an “intellectual gift”. While many late teens do have a well-developed capacity to delay gratification, there are still many who seem to lack the capacity entirely, including many educators themselves! If “Play now- pay later” is a person’s attitude, they are usually too resentful of any attempt to intervene in their life-style of impulsiveness. Psychotherapists often cannot help them! It is too late! Their selfish impulsiveness is often so severe that it precludes their participation in any helpful process that psychotherapeutic advice could offer. They avoid all the important and painful issues, they miss appointments, leave every task until the last minute, find it very hard to get started on anything, often only complete assignments LATE (or never) and rarely actually help, or think of, others. Not surprisingly, this inability to “delay gratification” causes problems in their future relationships and at its worst, can even result in mental problems. If you can consciously embrace this idea it will have a positive influence in your whole life and will actually make you a much happier person. A student who gets homework done without prompting, has learnt it. A student who leaves an assignment until the day before it is due, has not learnt it. Graduates who start paying back their student loans as soon and as quickly as possible have already learnt this valuable life skill. The other graduates who happily take out student loans but who keep putting off making arrangements to repay them (resulting in huge interest penalties over several years!) have clearly NOT learnt this essential skill. A student who gets their essential homework done before going on “facebook” has learnt it! A person who eats all their favourite types of food on the plate first, then struggles to eat the broccoli and cabbage, has not learnt it! A child who gets their chores done without prompting before going out to play has learnt it! A student who sits down to do homework but gets side-tracked texting has not learnt it! It is also clear that many professional people in high positions fall far short of this valuable trait! BEGIN IT and it is HALF DONE! then you plan to fail." You can’t “fly with the eagles” if you surround yourself with "turkeys". "Make sure you spend your time with positive people!" is as important as your ability." "Act as if it were impossible to fail! If you are going after “jaws”, take along the tartare sauce." "The KEY to success in EVERY activity is: ENTHUSIASM!" YOU ALWAYS HAVE TWO CHOICES! John is always in a good mood and always has something positive to say. He replied, “Each morning I wake up and say to myself, I have two choices today. I can choose to be in a good mood or I can choose to be in a bad mood. “Each time something bad happens, I can choose to be a victim or I can choose to learn from it. “Every time someone comes to me complaining, I can choose to accept their complaining or I can point out the positive side of life. “Yeah, right, it's not that easy,” I protested. “Yes, it is,” he said. “Life is all about choices. “You choose how you react to situations. The bottom line: “It's your choice how you live your life. "Nobody can take away your freedom to choose how you will react". A famous Olympic coach was searching for new young athletes for the national squad and to everybody’s surprise, he chose two players ahead of what everyone thought was the most naturally talented player on the field. This story reminded me of a friend I had at university. John had arrived from secondary school with unbelievably high marks in all his subjects. I think his lowest mark was 95%! John was a naturally talented student. He would have been called “gifted”. Everything came easily to John. He topped the class at university too. He did IQ tests for fun and regularly got phenomenal scores! He openly admitted that in all his years at school he never had to do any studying because he confidently knew everything he had ever been taught! That was John’s problem. It sounds strange but he did not know “how” to study. During his 2nd year at university, his marks started to slip quite markedly. John could not explain it! In fact at the end of his time at university he did not actually get a degree! John had reached what is called, his “mental ceiling”. There are many bright students in our schools who always felt that they had never needed to study or do homework because they could get the top grades without any extra effort. Unfortunately, they will always reach their own mental ceiling eventually! Some reach it in Year 11, some in Year 12 and some at Year 13. Many of these students are quite bewildered and do not know what has happened. Common excuses are: the teacher is no good; this topic is not important anyway; this is not very interesting; too many missed lessons; too many extracurricular activities; personal problems etc. Sometimes the drop in standards can be quite dramatic. There are students who were getting Excellence grades in Year 12 but who suddenly struggle to get Achievement grades in Year 13 because they can no longer keep on top of their work. They have simply reached their own ceiling. However all is not lost as long as they realise that they cannot just carry on relying on their “natural talent” which had always worked for them in the past. Regular studying and homework are needed to reinforce what has been taught in their lessons. The recognition of this is a sign of the maturity of the student’s self-awareness. The refusal to recognise the importance of studying has dire consequences and lost opportunities for the future. It is certainly good to be naturally talented but unless you also work at your talent you never actually reach your potential. "In motivating people, you've got to engage their minds and their hearts. I hope I motivate people by my example, my enthusiasm and my excitement." IF YOU DECIDE TO USE ANY OF MY RESOURCES I WOULD BE PLEASED IF YOU COULD SEND ME AN EMAIL.